Sports Watch with Convenient Integrated HR Monitor. TomTom has created a really cool training gadget with their Multi-Sport Cardio GPS watch. The fact that they have squeezed in both GPS and a built-in heart rate sensor on a wearable training gadget proves to me that this is a very interesting product and maybe the best GPS watch for running. I also think the design oozes fun and with good color combinations and a big screen to watch your running information in real time, this gadget truly can improve your health and training if you are serious about it. TomTom is a Dutch company that makes GPS devices for vehicles and support maps and geodata to these. With all their expertise, it’s good to see that they have embraced the training people and made such nice training watches. They can be a bit expensive, but they come in four different versions so you might go for the cheaper solution. I don’t know how much you already know about TomToms sports watches, but they have a few devices which look a bit similar and have almost the same names, so it can be a bit confusing. At least it’s possible to choose a version that suits you perfectly, but it can also make the purchase choice rather difficult. They’ve even made a green sports watch for Golf players, the TomTom Golfer, which I will cover in another article. TomToms training watches comes in four different versions which all are suited for improving your indoor and outdoor training. Two called Runner and two called Multi-Sport. The Runner version is designed for running only while the Multi-Sport can be used for swimming and bicycling too. Both are waterproof so in essence you could take the Runner version for a swim, but it lacks the Swim Sensor the other version has that lets you monitor your swimming sessions. The video on top is actually a Runner. Then there are the Cardio versions of each Runner and Multi-Sport watches. The Cardio versions have integrated heart rate sensor which I think is a truly awesome feature. How many times haven’t you wished to get rid of that HR (Heart Rate) chest strap? Being able to view real time information of wetter you are in your optimal training zone or not is essential when utilizing a training gadget for serious running. That makes a total of four versions; Runner, Runner Cardio, Multi-Sport and Multi-Sport Cardio. The Runner is the cheapest version followed by the Multi-Sport and you can get them with optional chest strap HR sensor. If you can afford to purchase the Cardio variant do it. The price difference is so small that I have chosen to concentrate this article on the one I recommend and think it’s best, which is the TomTom Multi-Sport Cardio GPS Watch. Why could you really skip the possibility to be able to seamlessly use it for cycling and swimming as well? Three sports in one fitness device. So remember, the rest of this article will cover the device you can use for running, cycling and swimming – MultiSport Cardio. The fitness watch itself comes as a loose part fitted inside a nice wrist strap. The strap itself is perforated with lots of ventilation holes and the design looks quite cool and fresh in my opinion. It comes with many color variations based around red, black, gray, green and white. Green strap and white front, red strap, and black front or blue strap and red front for instance. Black is the only possibility if you want one color. The loose main piece with the display is black. The large 144 x 168 pixels resolution display gives you real-time information on your training. It’s easy to read the clear and visible display, but as usual with all these products it doesn’t work that good in bright sunlight. When you touch the screen on the right side it lights up so you can read it in the dark. The left and right top of the display can be configured to show what you want. On the inside is the optical Heart Rate Sensor which is the key feature on this fitness wearable I think. It’s very accurate according to test results and lets you work out without a common chest strap HR sensor. As with most of these devices, it’s not possible to monitor heart rate when submerged in water. GPS functionality is also a key element and lets you track the routes you are running and present previous running sessions on your display.Quick GPS Fix Technology makes sure it connects to satellites in about 9-10 seconds and lets you start your training without too much delay. If you run or cycle the same route several times you have the possibility to compete against yourself which is pretty cool. You’ll see a maker on the display map that represents you with your last or best performance time on that particular route and your goal is to beat it. It can be a great motivational factor and lets you push yourself the little extra. If you really want to challenge yourself, set a daily goal. A goal could be a distance, an amount of burnt calories or a time goal. Then you do your best to reach it. All the information on your progress is visible on the display as you go. All interaction with the device is done with the large four-way control button below the display. Press it once and the activities show up. Press again and the gadget starts looking for GPS satellites and heart rate and show you that in a few second. Other functions come forth when you press the button in all directions. Press right and you can choose between and activate the activities Running, Cycling, Freestyle, Swimming, and Treadmill. The three first programs use GPS for calculation of distance and speed. The other two are typical indoor activities and use internal motion sensors. You’ll also find a convenient stopwatch here. Down let you enter the settings area. When weight, height, age and gender are set in the settings it’s able to calculate an estimate of your burnt calories based on your movements. Pairing with your smartphone is also done here. Press left and you see status of the gadget and information as battery, storage, Quick GPS and version. You can calculate your maximum heart rate on the TomTom MySports page. If you are not familiar with the terms Maximum Heart Rate and Training Zones terms you can also read my article on the subject. You can also read about other methods for calculating max heart rate here. The sports watch comes with 5 predefined heart rate intensity zones you can choose from. When you select the preferred program the device keeps track of your intensity and shows you to slow down or to speed up in the display. Easy – for warm ups and cool downs. There are two ways you can use the TomTom MultiSport GPS training watch when cycling. When removed from the wrist strap you can place the module in a bike mount and attach it to the handlebar, or you can wear it on your wrist like when you’re running. If you attach it on the handlebar, functions like Heart Rate monitoring is dependent on a separate chest strap sensor. The benefit of having the display in front of you is that you can see the information like the race against yourself and heart rate zones on the display much easier. Cadence and speed sensor which is attached to the bike wheel can be bought separately for measuring of pedal strokes and accurate speed. The fitness watch automatically uploads your runs or trips to the free TomTom MySports mobile app available for both Android and iPhone. The app has much of the same information as the watch itself, but also you can see runs and activities and other things in more detail. You’ll need the app to get the most of your training watch and utilize most of the features. You will also need access to a web portal called TomTom MySports to get even more information. Full heart rate and route info are available here. This training watch is the perfect product for athletes and people who want to monitor their training. I wouldn’t necessarily recommend this gadget for beginners due to the price but you get what you pay for, and can you afford it go for it. It may be the best GPS watch for runners, at least very high up there. Where Can I Buy Multi-Sport Cardio? US: Purchase this product on Amazon.com. Click buy button to check for latest price and discounts. UK: Purchase this product on Amazon.co.uk. Click buy button for latest price and discounts. If you are in or close to USA use the top link. If you are in or close to United Kingdom, click the bottom link. “The best cardio running watch on the market!” By Nancy R.
Do you have any questions or comments on my TomTom MultiSport Cardio GPS Sport Watch review, do not hesitate leave a comment below. Dimension 22 mm x 25 mm (display) x 13.8 mm thick. Great review, nice information easy to read. Thanks. 🙂 I’ve used a lot of time reading through, proof read and make it easy to read. Take care. Wow…Great review. I’ve been running with a cheap FitBit for some time now and have been looking to upgrade to an activity tracker with more robust features. I like the white on black display. Hi Dave! Fitbit has some great products as well, but as you have understood this GPS sport watch is a huge step up. If you are serious about your running this is definitely something you should consider. 🙂 Take care. Thank you. 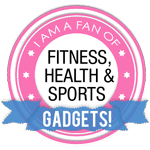 I hope it can inspire and educate people on how many tech gadgets and products there are out there to help them get in shape. Great article. I do a lot of biking and hadn’t really heard of Tom tom watches until I read this…thanks for the info. Great review wow. It’s good to have such an in depth article on an expensive product. You really know your stuff! Super in depth review of the watches. I think I really like the multi-sport just because I would want to use it while surfing and swimming. I am not much for running and tend to be in the water if I am working out. The two watches looked so much alike I always wondered what the major differences were.